Green smoothies have for some time already been popular among smoothie enthusiasts who want to lead healthy lives. Green smoothies are, generally speaking, healthier than for instance totally fruit-based smoothies. 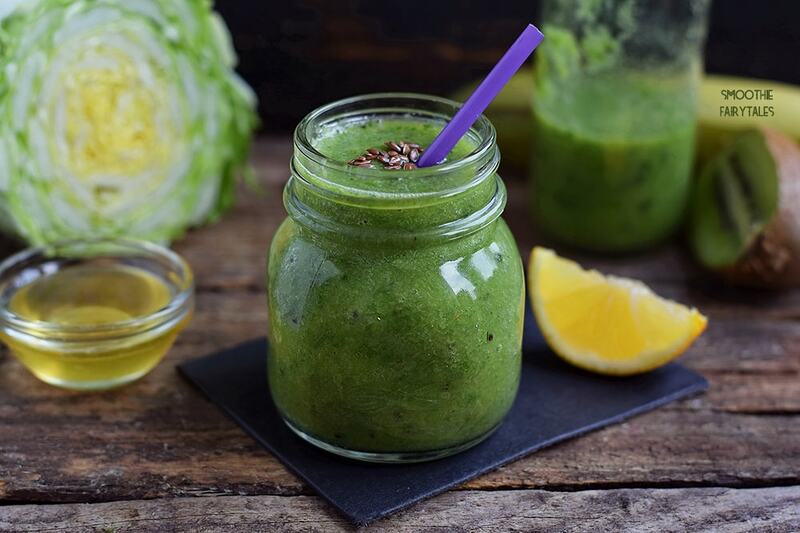 The spinach and kiwifruit green smoothie recipe that I share with you here today is rather easy to make. 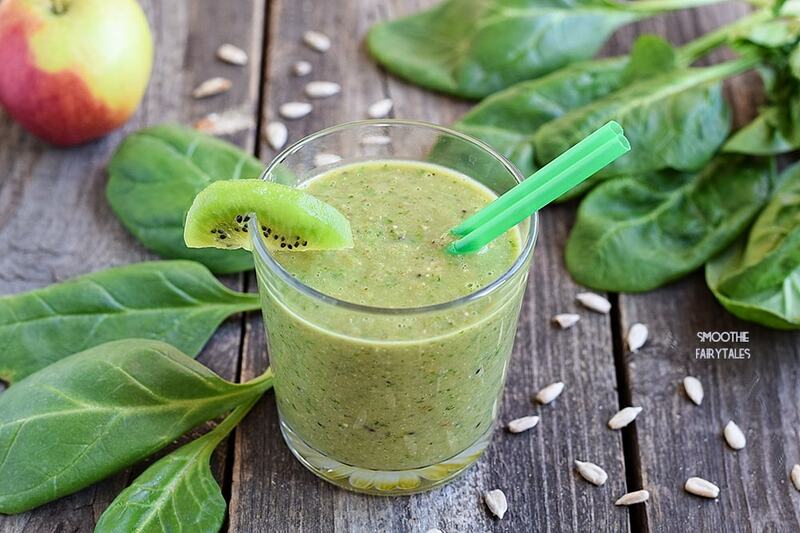 All you need is some spinach, kiwifruit, banana and some apple juice — and a good blender. If you want to boost its antioxidant and immune system strengthening properties, I’d recommend adding some superfoods in it. 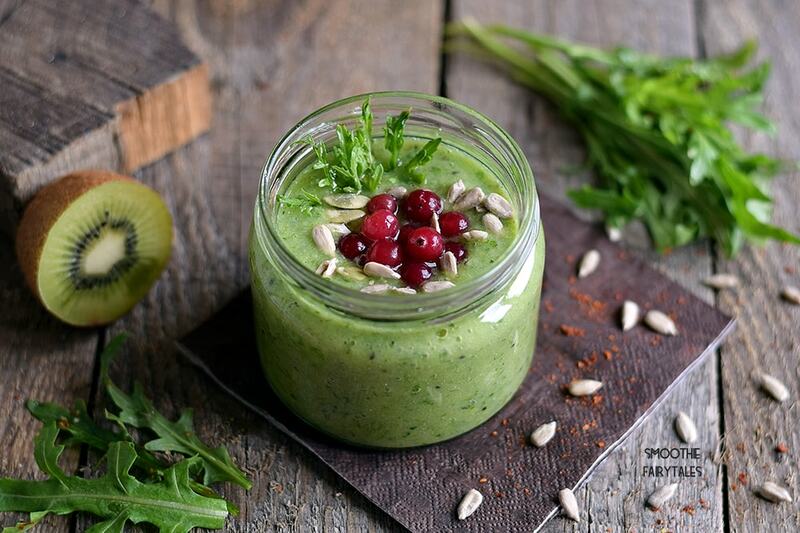 Green powders go just perfectly in spinach and kiwifruit smoothies without changing their taste. You could, for instance, use something like SUPER GREENS Powder by Nested Naturals that contains more than 20 organically sourced ingredients such as spirulina, barley grass, alfalfa grass, wheat grass, chlorella, dulse, spinach, broccoli, kale and many others. You can also add a table spoon of ground flaxseed and/or chia seeds to make the smoothie more feeling. Flaxseed and chia seeds naturally contain a lot of healthful Omega-3s. I personally love adding both ingredients in almost all of my smoothies. They don’t have much taste (if any at all) so the smoothies always turn out delicious. If you run out of flaxseed or chia seeds you have in your pantry, I highly recommend trying the organic flaxseed by Viva Naturals or their organic chia seeds. I love that they are using cold-milling technology for grounding the flaxseed. It helps the product stay good and fresh longer. In case you don’t know, always keep opened packs of ground flaxseed in the fridge so that the product doesn’t get a bitter taste too quickly. 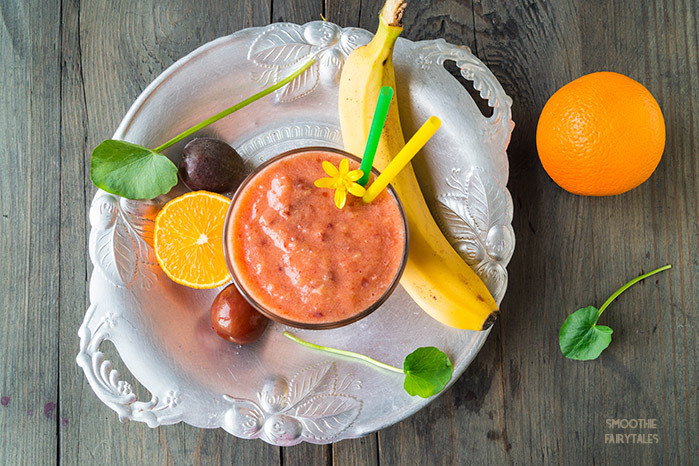 Quick and easy four-ingredient smoothie recipe. It's perfect for breakfast or as a snack at any time of your day. Rince the spinach leaves in cold water and let them dry. Meanwhile, peel the kiwi and the banana and cut them into chunks. Combine the kiwi, banana, spinach and apple juice in a blender and process until smooth. Pour the smoothie into glasses. Eat your spinach when it is fresh! In only eight days, the amount of main nutrients is halved. You can tell from the leaves if the spinach is fresh — crisp leaves are a sign of freshness. Avoid limp-leafed spinach. Spinach leaves have a mild diuretic and laxative effect. In the Middle Ages, artists used to extract green pigment from spinach. This could then be used for ink or paint. 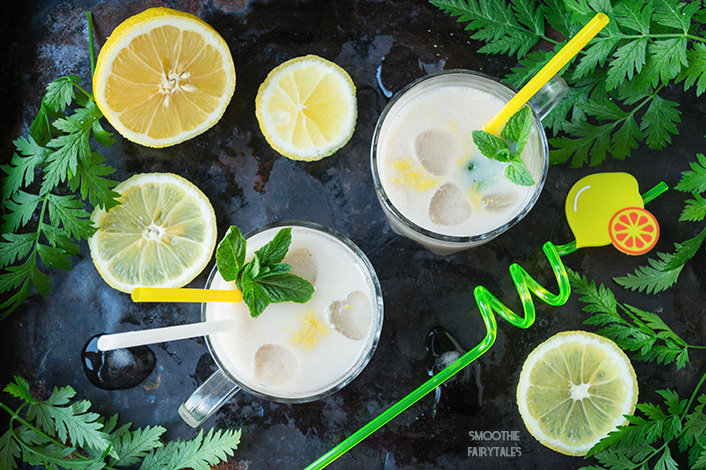 Do you enjoy Smoothie Fairytales? 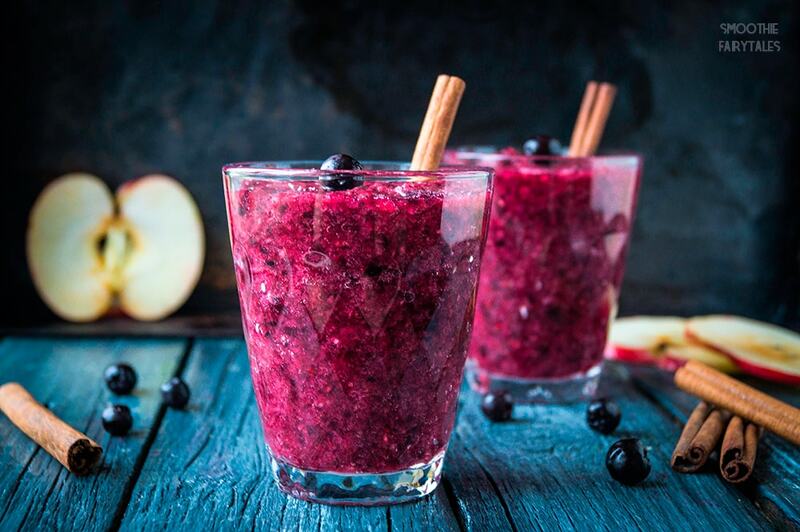 If yes, please share our recipes with people you care about  And if you want more smoothies — who doesn’t — in your social media feeds, just follow us on Facebook, Twitter, Instagram, and Pinterest! Hello! My name is Katia. I'm a rheumatoid arthritis fighter. I live in Finland in a beautiful town called Porvoo. Committing to one smoothie a day and sharing my recipes with the world on this website.